David Green autographed card. All autographs are 100% guaranteed and come with a certificate of authenticity from www.RKSportsPromotions.com. Ernie Irvan autographed card. All autographs are 100% guaranteed and this item comes with a certificate of authenticity from JSA. Ray Evernham autographed card. All autographs are 100% guaranteed and come with a certificate of authenticity from www.RKSportsPromotions.com. 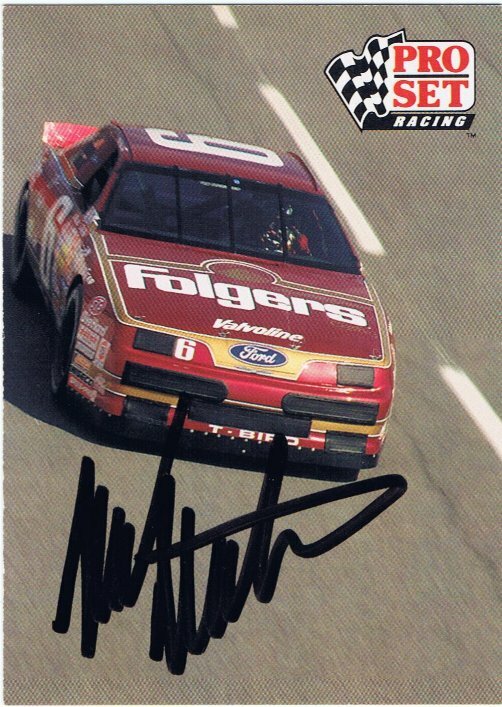 Ted Musgrave autographed card. All autographs are 100% guaranteed and come with a certificate of authenticity from www.RKSportsPromotions.com. Terry Labonte autographed card. All autographs are 100% guaranteed and come with a certificate of authenticity from www.RKSportsPromotions.com. Morgan Shepherd autographed card. All autographs are 100% guaranteed and come with a certificate of authenticity from www.RKSportsPromotions.com. Doyle Ford autographed card. All autographs are 100% guaranteed and come with a certificate of authenticity from www.RKSportsPromotions.com.